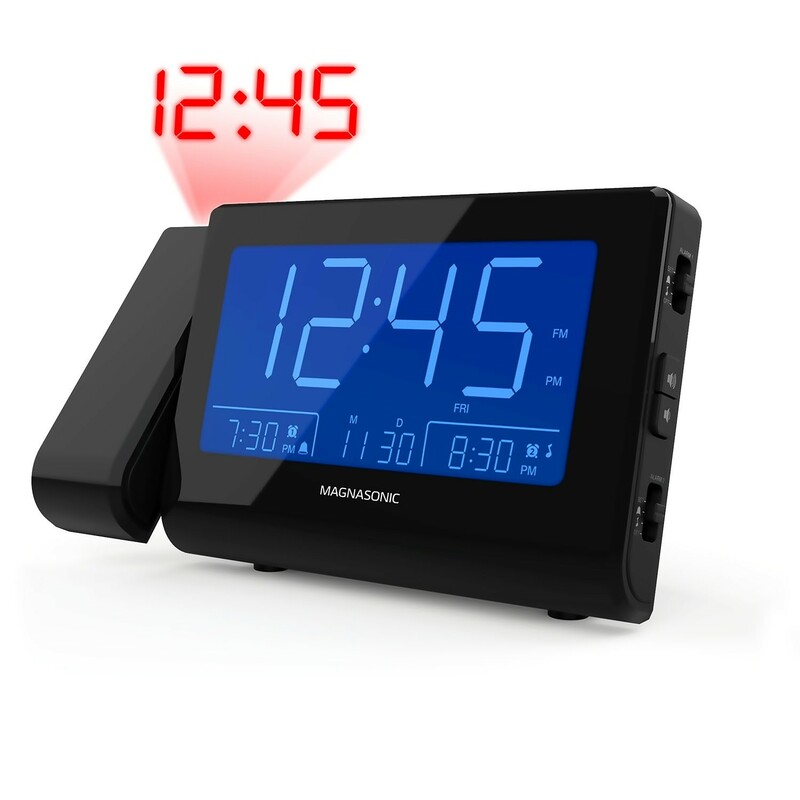 Wake up energized with the Magnasonic Bluetooth Speaker Alarm Clock Radio. 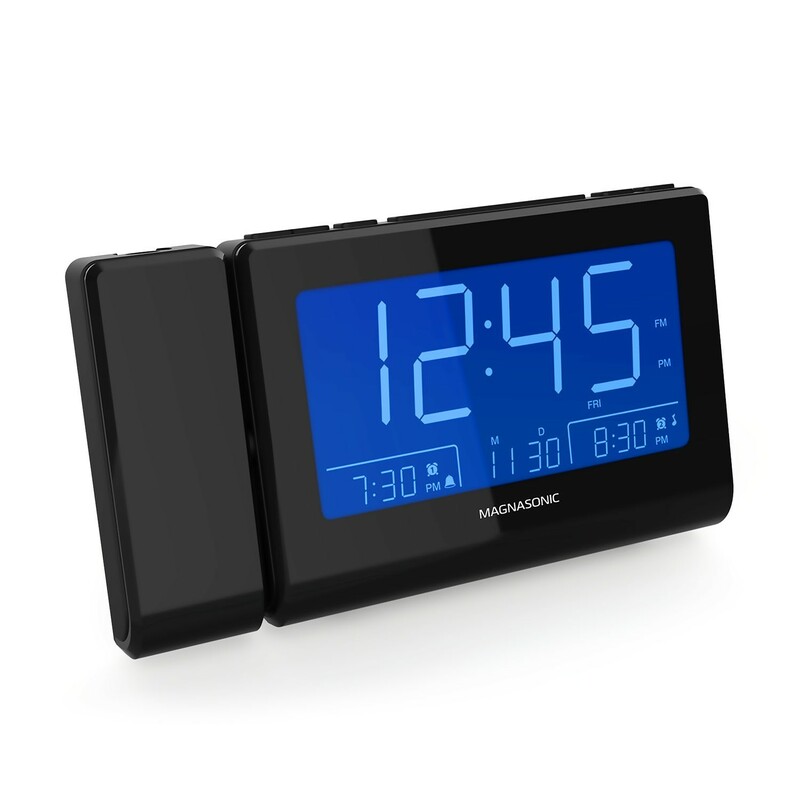 Enjoy the ultimate convenience of this all-in-one alarm clock while appreciating the sensational sound you wouldn’t expect from your bedside table. Designed with all the features to get you out of bed and ready to rock! With an integrated Bluetooth speaker to get you moving to your favorite beats. 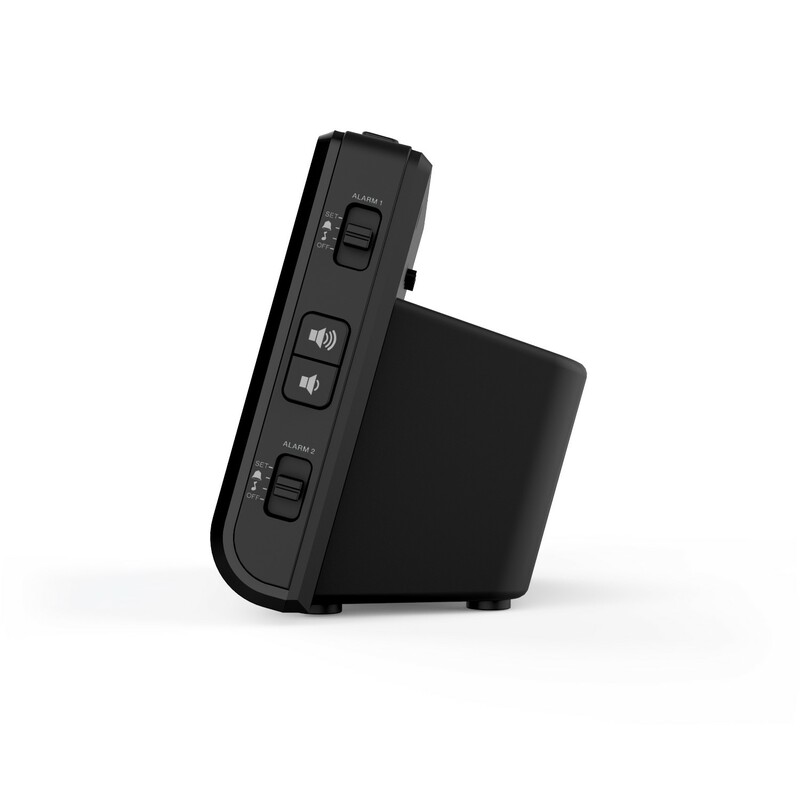 Stream from Spotify or iTunes directly to your bedside speaker. Recharge your phone and yourself. 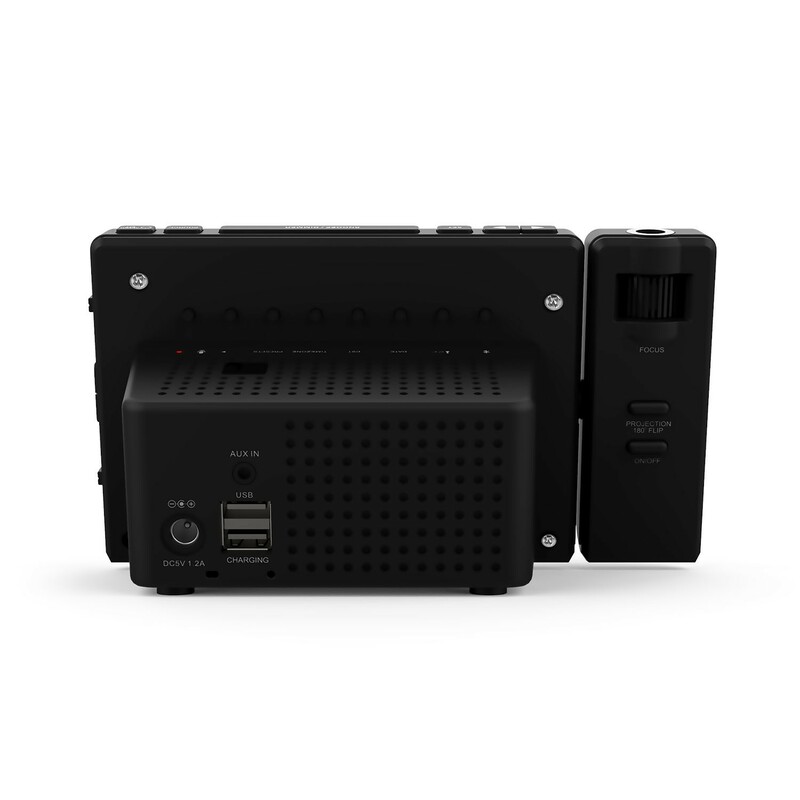 Enjoy the ultimate charging station that will keep your most used devices within arm’s reach, fully charged, without taking up multiple hard to reach outlets hidden behind furniture. 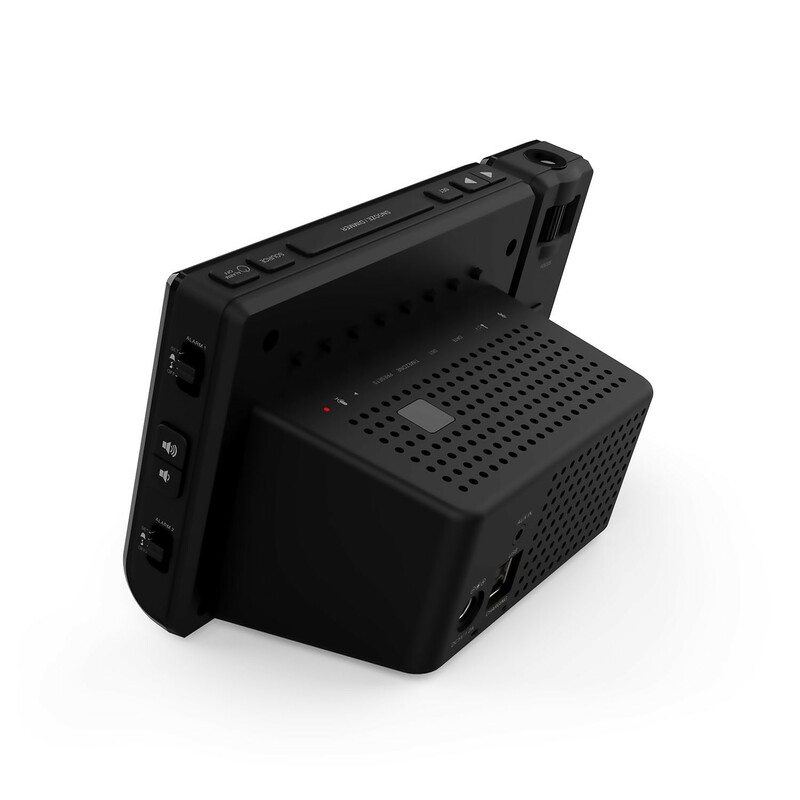 Keep your smartphone, tablet, or e-reader at 100%. 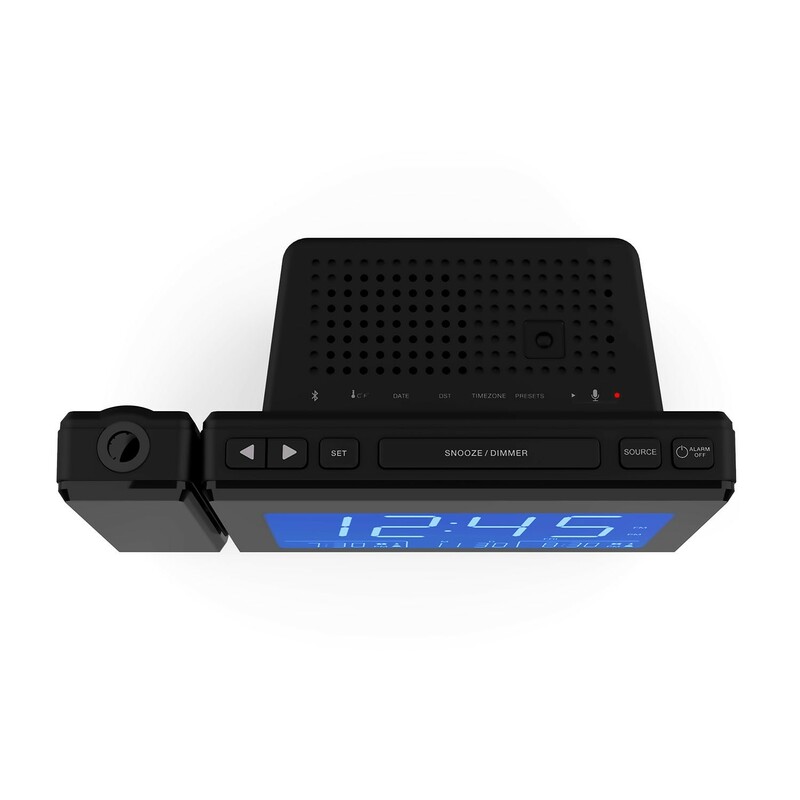 We developed the world's easiest to use alarm clock. Plug it in, select your time zone and it automatically sets the time. 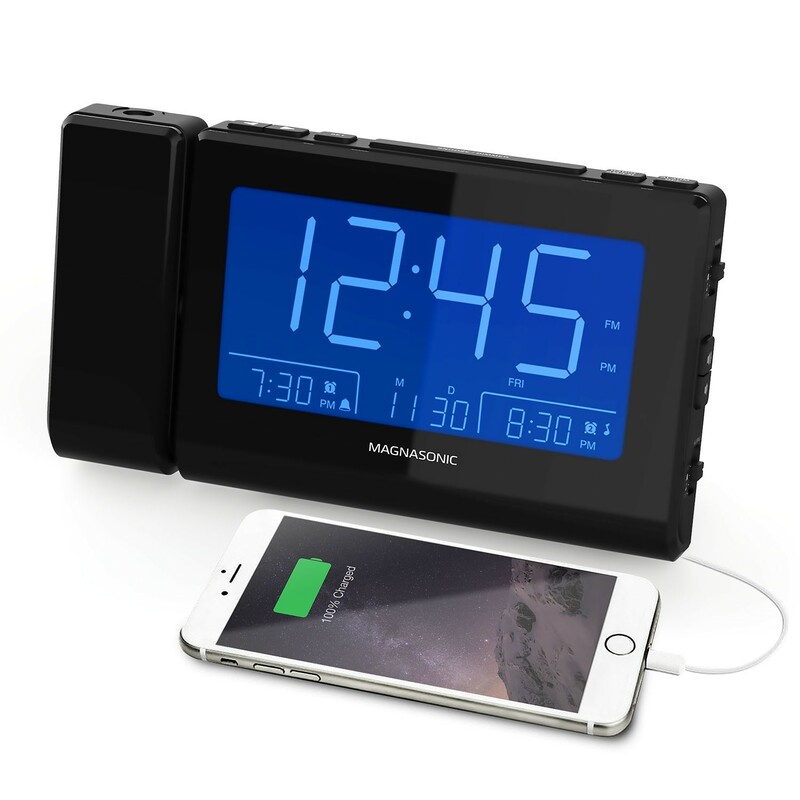 Packed with innovative & useful features like automatic adjusting display brightness, dual alarm, battery backup, auto daylight savings time, aux 3.5mm input, large 4.8” display, indoor temperature (C/F), date display, digital AM/FM tuner, sleep timer, radio presets and wake to radio or gradual wake buzzer to awaken even the heaviest sleeper. Wake up to the beautiful sound of your children or grandchildren singing the new song they learned. One-up your significant other with a hilarious custom alarm prank war. Or just record a beloved sound or song to start your day with a smile. Would recommend. Full of nice features. Less buttons - have a menu button instead. I replaced my 20 year clock radio with the CR65 and I absolutely love it. It has all the features I was looking for: dual alarm, big display that is soothing to the eyes, USB charging, Bluetooth capability, Auxiliary input, time projection, and temperature reading. It was so easy to set-up, very intuitive. The only thing I was surprised was the external wired FM antenna and the wired temperature sensor. There was no mention of that in the product description and makes the whole set-up unsightly from the back. But not a deal breaker. 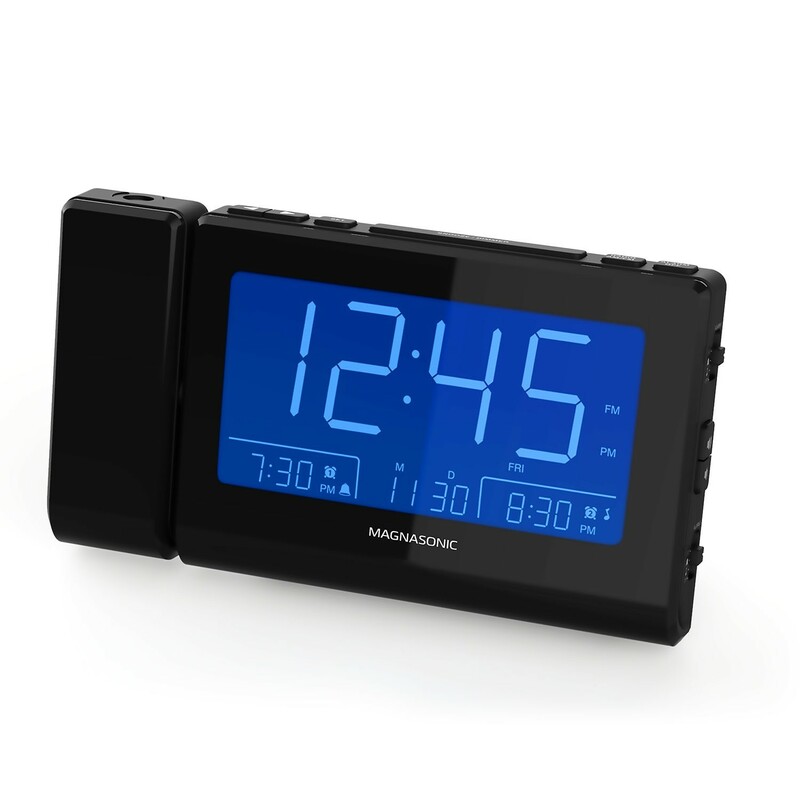 I highly recommend this Canadian-designed clock radio. 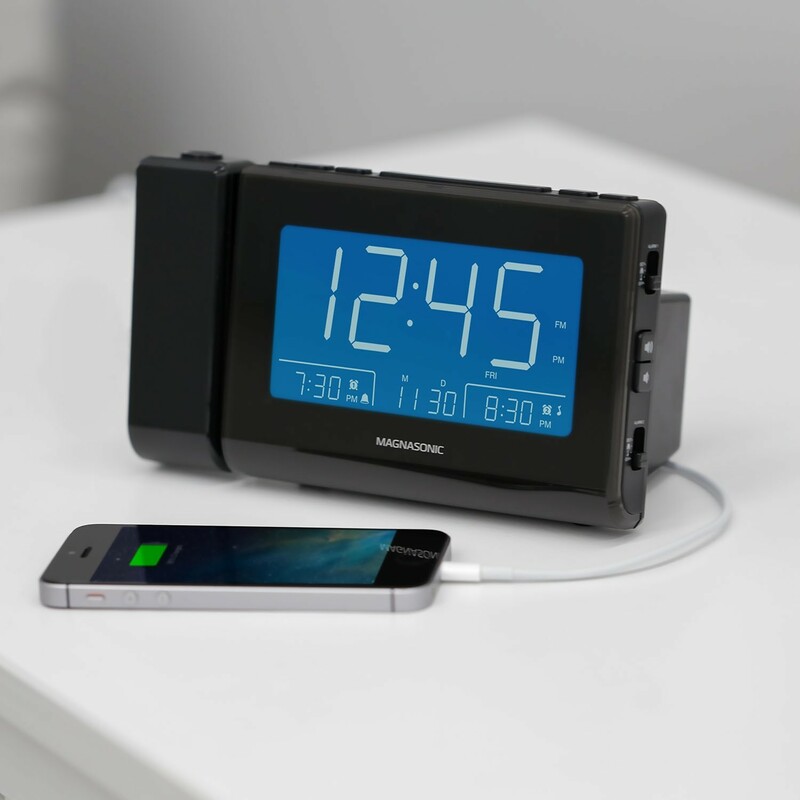 This is the perfect clock radio for my nightstand. 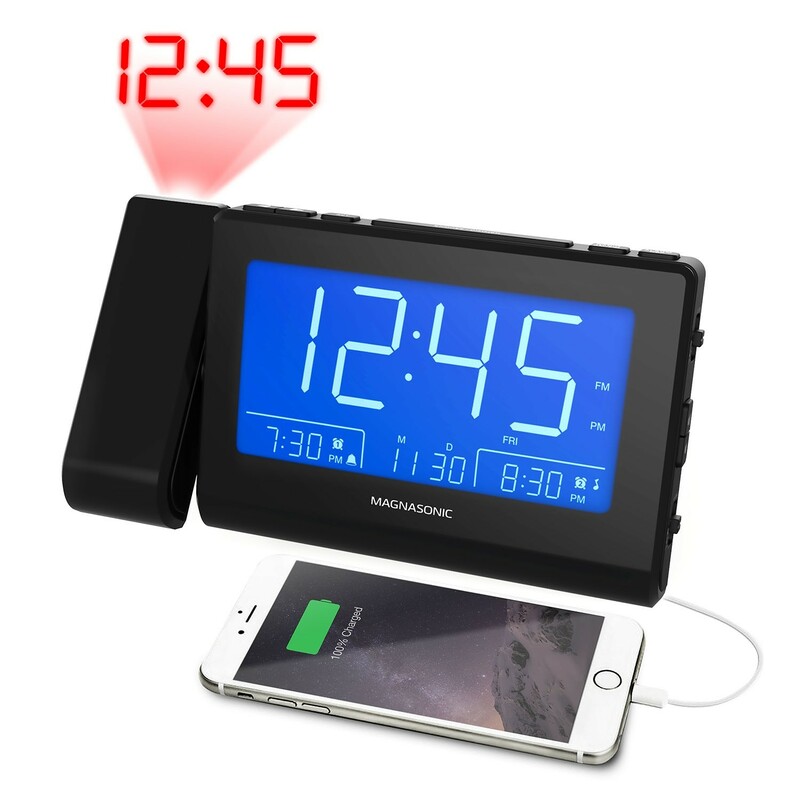 The display size is perfect, the sound speaker is good, the USB charging feature is useful, and I love the automatic time setting ability. No, the clock is shipped to you with a pre-set time. The first time the clock is set up, you will be asked to select your time zone which will set the correct time for your area. Yes! The radio and recorded alarm sound with a gradual increase in volume up to the setting selecting during setup. The buzzer option will sound at a consistent volume level. No, while the clock has battery backup, it's used to retain settings when the power goes out. It doesn't provide enough power to run the clock on its own. Yes! 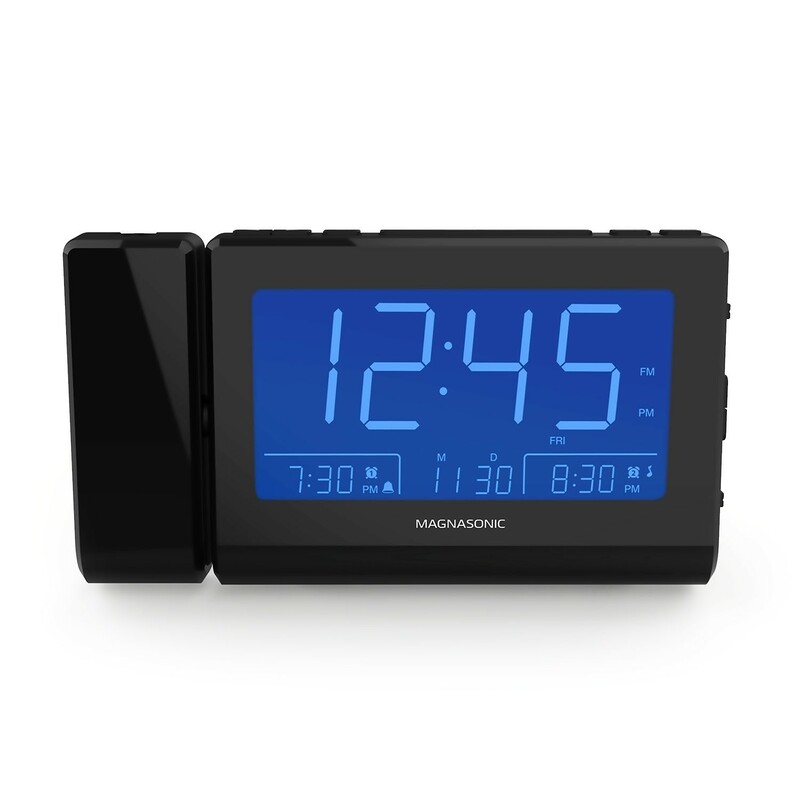 The Magnasonic CR65 Bluetooth Speaker Clock Radio uses Sure Alarm technology to sound your alarms on time, even when the power is out! When power is restored, all of your settings and time will remain as well.